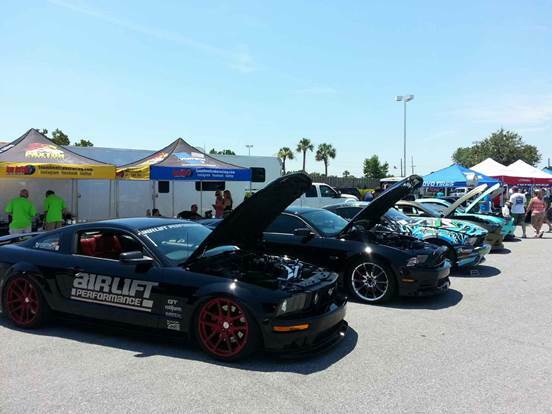 Jeremy Hart updates us after representing Air Lift Performance at Mustang Week 2014. 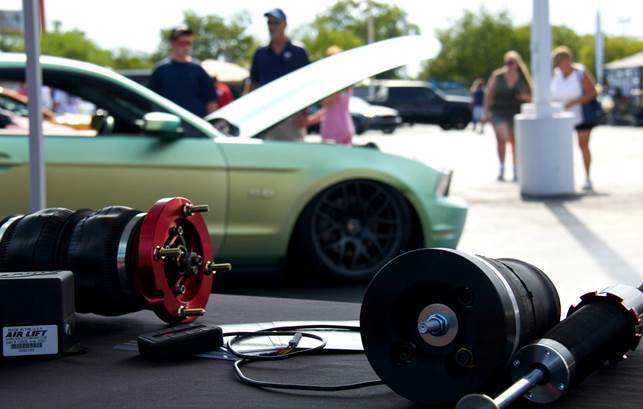 There’s a lot of excitement about ALP among ‘Stang owners…read all about it here! Air Lift Performance attended its first Mustang Week three years ago, with only their 2005 Ford Mustang GT car and a 2008 Shelby GT 500 in the ALP booth (here’s what happened in 2013). This year, Air Lift had five booth cars, and Jeremy Hart describes ALP’s intense popularity at the event: “I even had to turn down some people on our suspension because we did not have enough room for more cars!” Aside from their representation in their own booth, there were cars on ALP suspension in the Vortech Supercharger’s booth, at Vossen Wheels, and in Vaughn Gittin’s RTR booth. “Throughout the week, there are different shows at various locations,” Jeremy describes, “and at each event, people would surround our car before I could even get out of it. It was the same story with the other bagged Mustangs I was travelling with.” It looks like this kit appeals to everyone from teenagers to folks in their 70s—the demographic for this buying group is enormous, and Air Lift Performance is catering to all of them by representing at events like this. Interest in Air Lift Performance products is at an all-time high. People at Mustang Week asked knowledgeable questions; people are doing their research, and Air Lift is building credibility and a base of happy customers. After numerous conversations with Mustang Week attendees, Jeremy remarks: “No longer are we looked at as the punks in lowered cars. We are now considered a viable handling performance upgrade!” People are excited about Air Lift Performance, lured by the ease of Air Lift product installation and the understanding of what ALP suspension is capable of on the track and on the road. 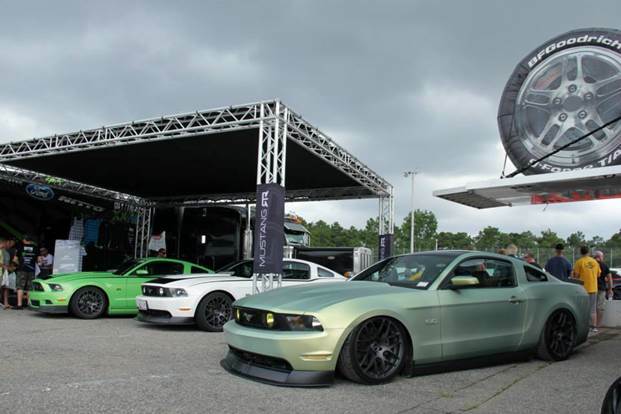 There were at least a dozen cars on Air Lift suspension at the show, all running the complete 2005 – 2014 Ford Mustang 95723 digital combo suspension kit. Upon the conclusion of yet another Mustang Week, there seems to be one collective demand: people are more than ready for the release of the ’94-’04 kit. While Air Lift can’t guarantee a specific release date for it, the kit does exist already as a prototype, and photos will be available soon. Those pics won’t be just anywhere, though. To stay up-to-date on sneak peeks, product releases, and great social media shares, subscribe to Air Lift Performance email newsletters. You’ll be the first to know about new kits, contests, and breaking scene news. See more content on Ford Mustang.